Cooler with gear oil cooler R.L. 1 F 50 001 chillers a.A. a.A.
0 F 50 005 Cooler with transmission oil cooler a.A. a.A.
0 F 50 015 chillers a.A. a.A.
0 F 50 008 Cooler R.L. 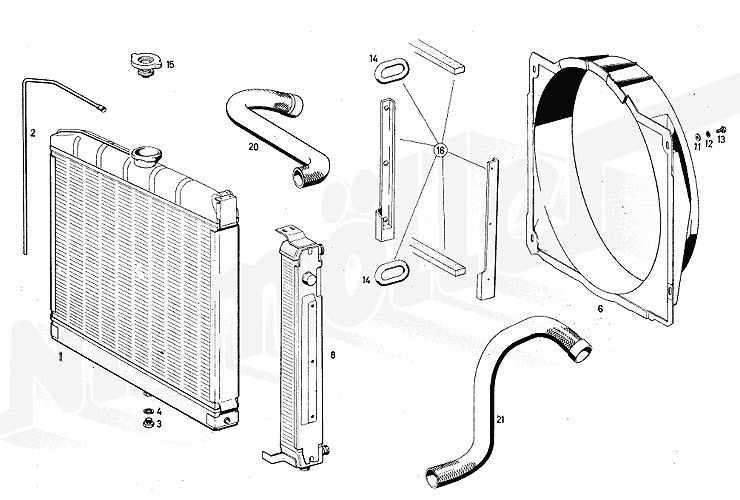 a.A. a.A.
0 F 50 009 Cooler with gear oil cooler R.L. a.A. a.A.
0 F 50 038 filling part a.A. a.A.
0 F 50 052 clamp a.A. a.A.